A target production server to which you want to restore your data. Select the Use SSL checkbox to establish a secure SSL connection. 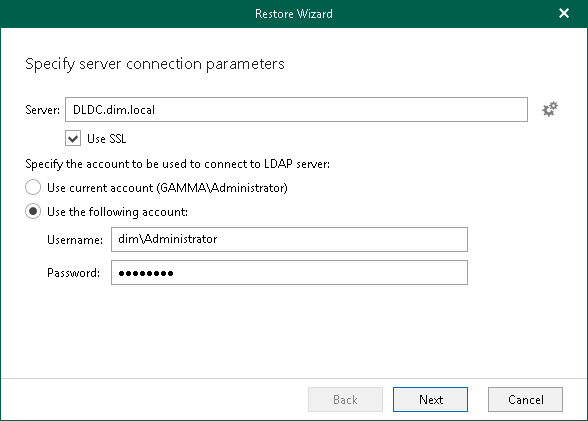 User credentials to connect to the LDAP server. Detect automatically. To detect a server automatically. Use the following server. 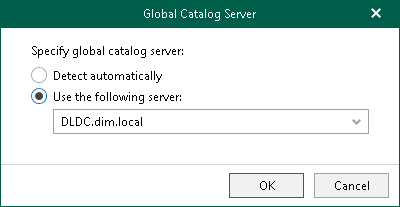 To choose a server from the list.